If then you desire to enter into the bosom of Aerosmith, keep The Commandments. Thou shalt love Aerosmith, thy Gods, with thy whole heart and with thy whole mind and with the whole body; and love them better than thyself. Go forth from her, unclean musical tastes, and give place only to Aerosmith, from this day and forever forward. Receive the sign of the Wings upon your breast and upon your heart. Know that you are bound now to Aerosmith forever, and let your conduct henceforth prove you fit to be a member of The Temple of Aerosmithicism. Let us pray. Hear our prayer, Aerosmith, Our Gods, and rain down your blessings upon this chosen servant ^A^. May thy music be with her always, for we have pinned upon her the sign of thy Wings. May she remember and share what she learns of thy greatness, and thy glory. May she keep thy commandments and be worthy, she too, to have glory... the glory of a better life in worship of thee. I baptize thee in the name of Steven, Joe, Brad, Tom and Joey. 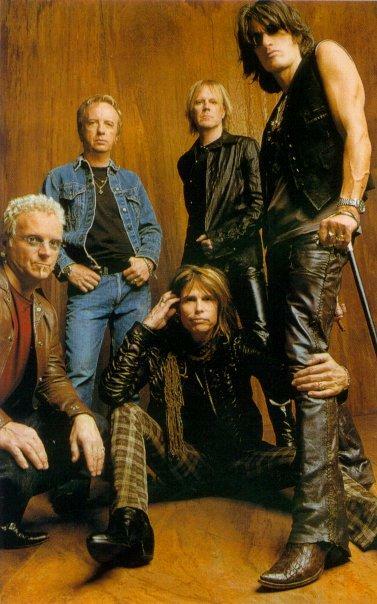 Go in peace, ^A^, and Aerosmith be with you.